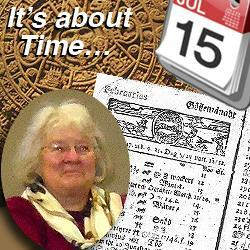 Local author and historian Nancy Covert takes us beyond mere clock-watching. …for Nancy Covert to share what she knows. 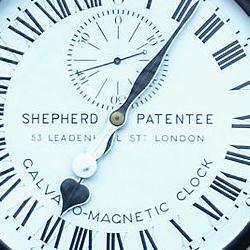 The great Shepard Gate Clock at the Royal Observatory, Greenwich, England. 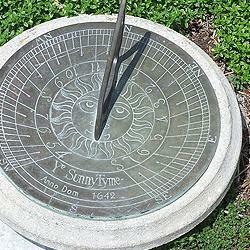 A sundial…perhaps not the best choice for telling time here in the soggy Northwest. Tick, tock, tick tock…Seconds, Minutes, Hours, Days…Decades. What exactly IS Time? Calendars (Julian, Gregorian, Chinese, Mayan?) clocks (sand, water, atomic? ), appointment books, Deadlines, Half Time…just a few of the many ways we “keep track” of its passing. It’s something there’s never enough of. When did time begin? Why is it important? Why do we always seem to be “running out of it”? Unless you happen to be a physicist, philosopher or mathematician—time may mean little, other than something to complain about not having sufficient quantities of this item. Unless you’ve read Dr. Stephen Hawking’s “Theory of Time” it may be easier to get a better handle on this intriguing subject by attending Lakewood Historical Society’s first program of the New Year. Time and its intriguing aspects will be on the agenda for Lakewood Historical Society’s first meeting: 7 p.m., Tuesday, Jan. 20, at St. Mary’s Church on Gravelly Lake Drive in Lakewood. Researcher/writer/historian/seeker Nancy Covert will discuss some of the interesting facts she’s gleaned from her investigation about Time and share some “Good Fortune” for the Year of the Ram. Be there at 7 p.m. Sharp!